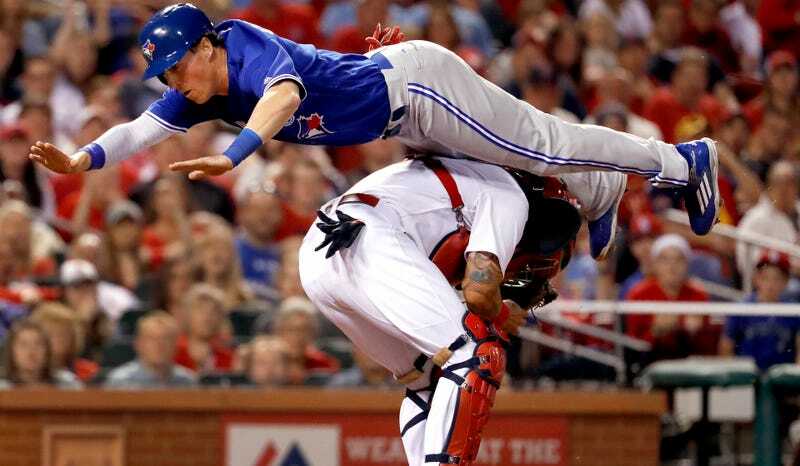 In the top of the seventh inning against the St. Louis Cardinals, a man achieved flight. After Blue Jays outfielder Kevin Pillar hit a deep shot to right field, Chris Coghlan took off from first base. He rounded third as the throw came, sprinted for home as it arrived, and then launched himself over Cardinals catcher Yadier Molina to score the go-ahead run. It was a risky, thrilling, dangerous play that we can marvel at because no one got hurt. If you’re not going to slide, don’t forget to tuck and roll.